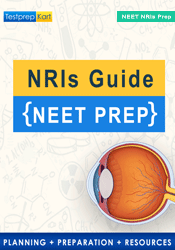 NEET Free Online Preparation Portal for downloading free study material for Physics, Chemistry and Biology. Examination Time 02:00 p.m. to 5:00 p.m.
Ph.D in Chemistry and an expert guide for NEET aspirants worldwide. Her sheer knowledge is commendable. An IIT - Delhi Graduated with Computer Science, love taking session for Mathematics for NEET students worldwide.